The doll in question was the Ivy Ling doll by American Girl. And though we didn’t literally tell our daughter that Ivy was “no more,” it clearly felt that way to her. What we actually said to her was that the toy company (Mattel) which owned American Girl announced that they were “archiving” Ivy, essentially retiring her. That meant there would be no more sales of Ivy dolls or her clothes, and all inventory would be removed from stores. At the time, we didn’t own any American Girl dolls, which I felt were seriously overpriced at $100 each. But we had been hoping to get an Ivy by watching for the one-day super deals on NBC’s Today Show. My wife and I asked our daughter if her strong reaction came from her desire to own an Ivy doll. But that wasn’t it. As we talked with her further, we found the deeper reason for her intense response. It had to do with race. Ivy Ling, if you haven’t guessed already, was a Chinese doll, and that’s not because she was made in China. Rather, it’s because the fictional character of Ivy Ling, as told in American Girl’s very well-written historical fiction books for young readers, was Chinese American. LEFT: Ivy’s everyday outfit, called a “meet” outfit in American Girl parlance. RIGHT: Ivy’s New Year outfit. Retiring the Ivy doll, then, meant retiring the only Asian doll in the decades-old American Girl historical line. The brand does have other lines of dolls, most prominently the TrulyMe dolls of many hues and hairstyles. It’s a popular line that gives girls a chance to own dolls that look like them. But the original, best-known, and longest-beloved American Girl dolls are still the historical ones. Now unless you’ve previously encountered the American Girl universe, a quick bit of background info will probably help. Ready? And several other settings with special significance in American history. Each historical doll also has a clearly identifiable racial or ethnic background. At the time of Ivy’s retirement, there were several white dolls, one of which was Jewish. There were also two African American dolls (of which one was retired at the same time as Ivy), one Latina, and one Native (Nimíipuu). Almost without exception, the historical dolls then fell into one of two categories. Each was either a main doll (my term) or a friend of a main doll. The main dolls had lots of different outfits, and their stories were told in six-book serials. The friend dolls had but a couple of outfits each, and though readers learned about them in the main doll books, they each only had one book in which they were the central character. Riding on a cable car. Because, San Francisco! Ivy was a friend doll. Her corresponding main doll was a spirited, determined, and delightfully feminist white character, Julie Albright. Ivy appeared prominently in the six Julie books as Julie’s best friend. Good Luck, Ivy, penned by my friend Lisa Yee, features Ivy herself as the central character. Author Lisa Yee has written several American Girl books and numerous other books for young and young adult readers. Congratulations, you’ve completed your American Girl crash course! It was free of charge; thank me later. Now, back to my daughter. What broke my young daughter’s heart that May of 2014 was her feeling that, to Mattel, Asians didn’t matter as much as everyone else. And because she was Asian, in her mind Mattel was also saying that she was less important than non-Asians, too. Like I said, her scream and her tears had much to do with race. But being the daughter of an activist, she wrote an email to Mattel. Actually, she dictated it while I typed. She pleaded with the company for an Asian doll, saying that she was mad and her feelings were hurt. Taylor and Ayden Her, awesome young activists! She wasn’t alone. There arose an outcry on social media that was covered by journalists at ABC, NBC, Forbes, and other news outlets. 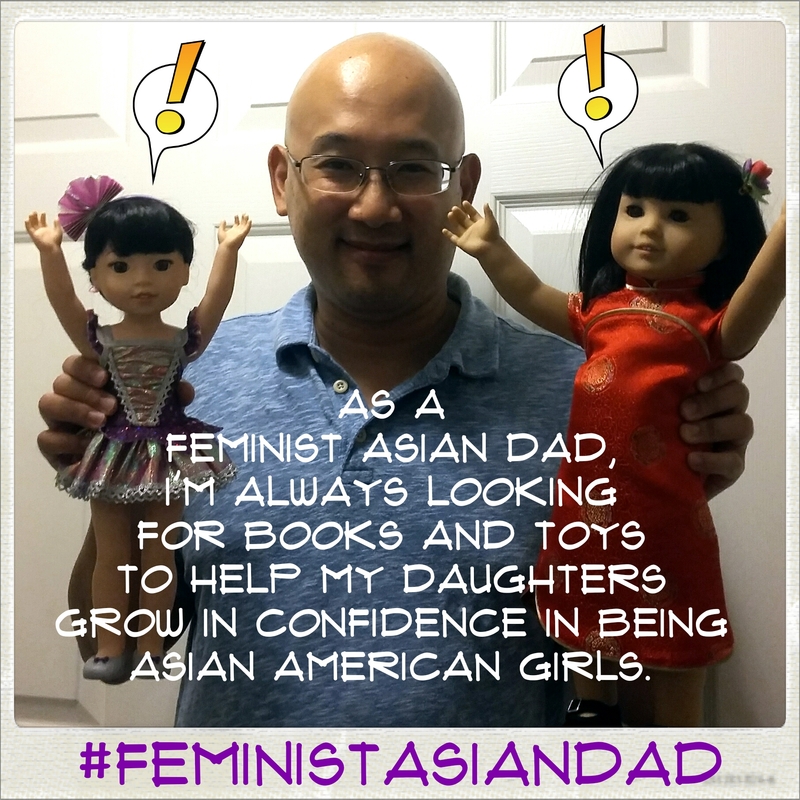 Asian American advocacy group 18 Million Rising put out a petition, sparked by two nieces of executive director Pakou Her, to ask Mattel to promise that it would soon put out another Asian American doll. They obtained an impressive several thousand signatures. I absolutely agree with Olivia. Ethnic representation in toys, books, and other media really helps the self-esteem of children of color! There’s research to back this up. Even anecdotally, I’ve heard so many American women of color over the age of 30 say that when they were little, it was hard to find poseable dolls that looked like them. Mostly, they only had different versions of white, blond Barbie to choose from. This reinforced for them the subtle message, even more prevalent back then, that to be beautiful, you had to be white. Think of it as a #DollsSoWhite kind of era, from which we’re still emerging. Mattel was good enough to respond to my daughter’s email with a very thoughtful one of their own. The company rep explained that they were retiring all the friend dolls, not just Ivy. She also stated that the company always listened to consumer reactions, and it would take that input into account when designing future dolls. She also apologized that the decision to retire Ivy upset my daughter. So while there was no promise to make a new Asian doll for the historical line, at least the company was saying that it paid attention to our reactions. But of course I wondered if they’d really follow through. A few months later, a friend of ours gifted to my daughters two American Girl dolls that she had received once upon a time. We welcomed into our home Addy, the original African American doll, and Josefina, pronounced “HO-seh-FEE-nuh.” My girls have loved them. And as that summer turned to fall, my wife and I made the decision to pony up the high cost and buy one of the remaining Ivy dolls before they were gone. We thought the doll had enough cultural significance to justify the expense. Our girls have enjoyed their Ivy, too. Fast forward two years to 2016. In response to declining sales, Mattel this year introduced a new line of American Girl dolls, called WellieWishers. These dolls are several inches shorter than the historical dolls, but they’re also less expensive (at $60 each). They’ll be easier to find, given they’re now available at Toys “R” Us and not exclusively at American Girl stores. Soon, they’ll also appear at Kohl’s stores. I’m genuinely encouraged! The dolls in this new line are unmistakably diverse. And one of the dolls, named Emerson, is Asian! I appreciate that Mattel listened to the concerns expressed when Ivy was retired, keeping it all in mind for this new line. American Girl’s newest dolls, the Wellie Wishers, have outfits, accessories, stories, and their own app. Granted, there’s still not an Asian doll among the historical ones. But with the WellieWishers, Mattel has given me hope that it’s moving in that direction. Just a few weeks ago, it also introduced a new African American historical doll, Melody, whose story is set in Detroit during the civil rights movement of the 1960s. Mattel appears to be taking to heart the appeals for diversity, if for no other reason than its bottom line. From what I’ve seen in recent news, diverse representations in toys and other media is proving to be good for many kinds of businesses. I need to look no further than my own home for evidence. Our younger daughter, who herself is now seven years old, took the 压祟钱 (yā suì qián, the money gifted in red envelopes) that she’d been saving over the last couple of years and bought an Emerson doll. It gave business to Mattel, and my daughter has another doll that she identifies with. She loves it so much that she sleeps with it every night. Thank you, Mattel! Please keep it going!